Soco Gap is a Blue Ridge Parkway entry point along Hwy 19 just five miles south of Maggie Valley, NC. Continuing another 1.4 miles south on Hwy 19 to a pull-off on the left finds a short trail to a viewing platform for the picturesque Soco Falls. 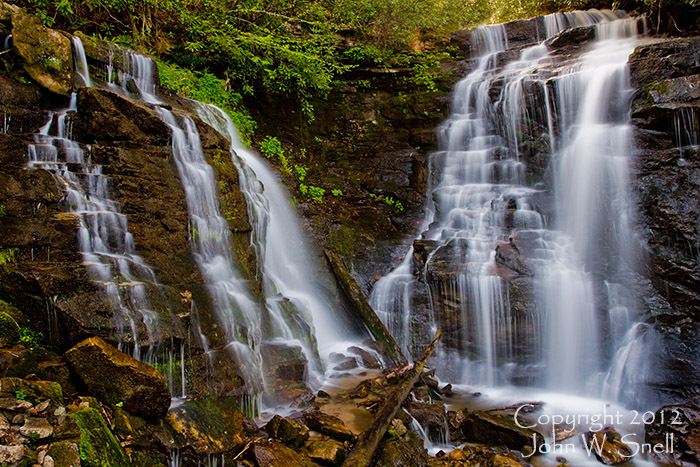 The "double falls" is my own reference to the waterfalls; the official name is Soco Falls.